We offer without commentary an extract from Grigory Levenfish's 1967 book Selected Games and Reminiscences. Grandmaster Levenfish died in 1961 and his memoirs were published posthumously. ...The organizing committee managed to attract a very strong complement of grandmasters. The first to accept his invitation was Lasker, the World Champion, mainly because he was offered a special appearance fee. Next were the two challengers for the chess crown: Capablanca and Rubinstein. Then Tarrasch, Marshall, Janowski, Bernstein, the two winners of the preliminary masters tournament Alekhine and Nimzowitsch, and finally the veterans Blackburne and Gunsberg. Unfortunately, Duras, Maroczy and Schlechter declined their invitations. There were to be five prizes awarded. Would the 45-year-old Lasker be able to compete with the young Capablanca, who had astonished all of Europe with his successes, and with Rubinstein, the winner of a series of strong international tournaments? These were the main questions stirring the interest of chessplayers throughout the world. I assisted the organizing committee in finding accommodation for the players. Rubinstein arrived a week before the tournament and was given quarters in the European Hotel. After just two days he expressed dissatisfaction with his room, saying he was disturbed by the noise of the elevator. One of the Committee members then offered Rubinstein the choice of any room in his apartment. There were six rooms in all, and the host was a bachelor who lived alone. Rubinstein duly moved there, but again he was unsatisfied. He found the apartment so quiet as to be oppressive, and he had to be transferred back to the hotel. It was clear to me that Akiba's nervous system had become weakened, and this did not bode well for the future. The Moscow lawyer O.S. Bernstein had been Rubinstein's main competitor in the Vilna tournament  and in his playing strength he did not give anything away to his rivals. But Bernstein had not spent much time on chess and his theoretical preparation was manifestly inadequate. He lost the decisive game with Tarrasch right in the opening, and with White at that. 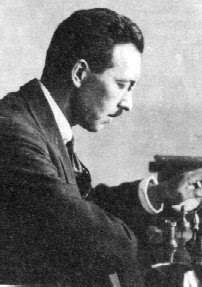 The Riga player Nimzowitsch had achieved a major success in the San Sebastian tournament of 1912, where he was in the running for first prize right up to the last round. No one was placing any special hopes on Alekhine, as this was his first opportunity to cross swords with world-class grandmasters. In fact he achieved only a modest result against Lasker and Capablanca, but he played with great success against the other grandmasters. As it turned out, Alekhine was the only player from Russia in the group of finalists. The play of Capablanca made an unforgettable impression on me. He too was making his first appearance in such a strong tournament, but even so he appeared to be playing quite effortlessly. In the preliminary rounds he won game after game. He played exceptionally well in his first encounter with Lasker. An amazing pawn sacrifice led to the win of material, and it was only a very deep defence that saved Lasker from defeat. At this tournament I saw Tarrasch for the first time. After he lost his match to Lasker, his native arrogance had been knocked down somewhat; nevertheless his impertinent and self-assured manner made an unpleasant impression. His service to the cause of popularising chess is indisputable. Two whole generations have studied his books, and it is no coincidence that he was given the title Praeceptor Germaniae. His strategy was dogmatic, but his tactics were excellent. His game against Nimzowitsch took the first prize for brilliancy. The Russian emigre Janowski had moved to France and was living in Paris. He was certainly the most elegant of the participants, both in appearance and in his manner of play. During the period from 1900 to 1907 he achieved his greatest successes; but his matches with Lasker and Marshall showed conclusively that his talent had declined. Janowski had become too enamoured with games of chance, and did not have the time or patience for chess. Marshall's appearance did not correspond with one's image of the typical Yankee. It is possible that a dash of Indian blood was showing its traces. His credo was the attack, which he conducted with great energy and patience, often overpowering weaker opponents. In tournaments of mixed strength Marshall won a number of high prizes, but in grandmaster tournaments and especially in matches against the strongest players, where his ingenious combinations were seen off by sturdy defence, he was not able to achieve much success. Blackburne, the “patriarch” of the tournament, possessed a similar style. It was no accident that in his heyday his comrades-in-arms had nicknamed him “the Black Death.” Blackburne won a number of prizes in tournaments, but was defeated by lopsided scores in matches against Lasker, Steinitz, and Zukertort. Despite his age, Blackburne fought hard for every point. He defeated Nimzowitsch brilliantly, and in an inferior endgame he outwitted Rubinstein himself and achieved a draw. In the 1890s Gunsberg had a reputation as one of the strongest chessplayers in the world. He drew a match with Chigorin and lost narrowly to Steinitz after a dour struggle. But an extended break from practical play had had a sharply telling effect on his mastery, and he lost games without a struggle. One must remark upon Gunsberg's patience. It is not easy to endure a series of losses, but Gunsberg remained unruffled and politely congratulated each one who defeated him. The sensation of the tournament was the complete failure of Rubinstein. In terms of quality, his play was quite unrecognisable. Against all expectations, Rubinstein did not qualify for the final group of five players. Capablanca took the lead easily and finished the first stage with 8 points out of 10 games. There was a bitter struggle for the remaining places. In the eighth round Lasker lost somewhat fortuitously to Bernstein, and in the ninth round he was on the edge of defeat against Tarrasch. The fate of Rubinstein could easily have overtaken Lasker as well. Tarrasch started a joke: while the five qualifiers were playing the final, Rubinstein and Lasker were going to play a match for the World Championship. But in the final rounds Lasker improved his standing, and together with Tarrasch, he finished in second place with 6½ points. The fourth and fifth places were shared by Alekhine and Marshall with 6 points. In the final stage of the tournament Lasker demonstrated exceptional mastery. It is enough to recall that in 8 games against Capablanca, Alekhine, Tarrasch, and Marshall, he scored 7 (!) points and captured first prize. Capablanca was half a point back. The big surprise was Alekhine's third-place finish. It had become obvious that Alekhine was moving confidently into the first rank of grandmasters. This is wonderful evocative stuff. Levenfish is a bit harsh on Dr. Tarrasch,though. National master (Canada) since 1984. B.C. Champion 1977 and 1984. Runner-up 1991 and 2002. B.C. Open Champion 1972 and 1982. B.C. U/14 Champion 1964-65-66. Mikhail Botvinnik once wrote that publishing your analytical work forces you to be accurate because it exposes you to criticism. Hence this blog.